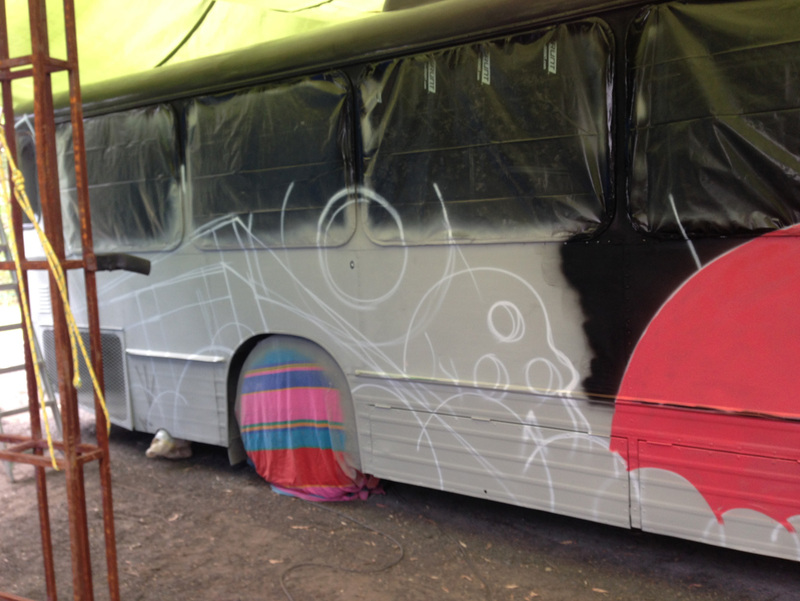 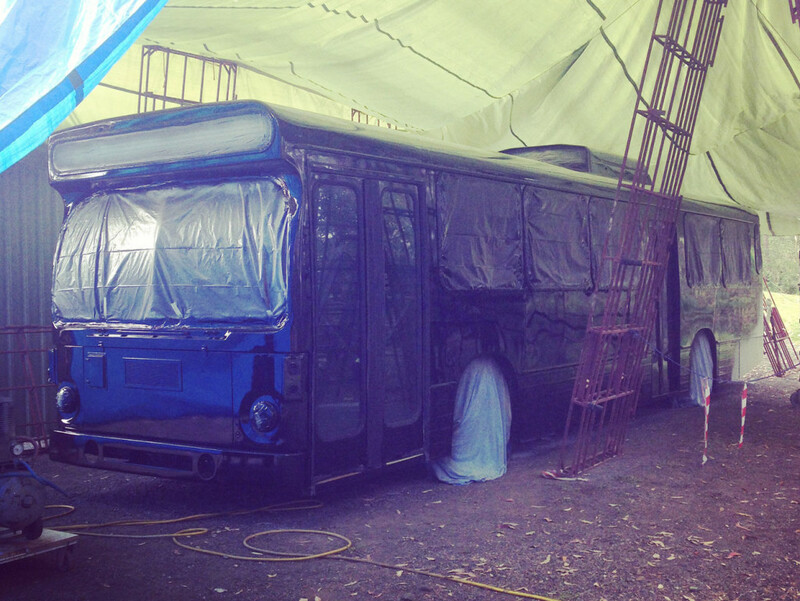 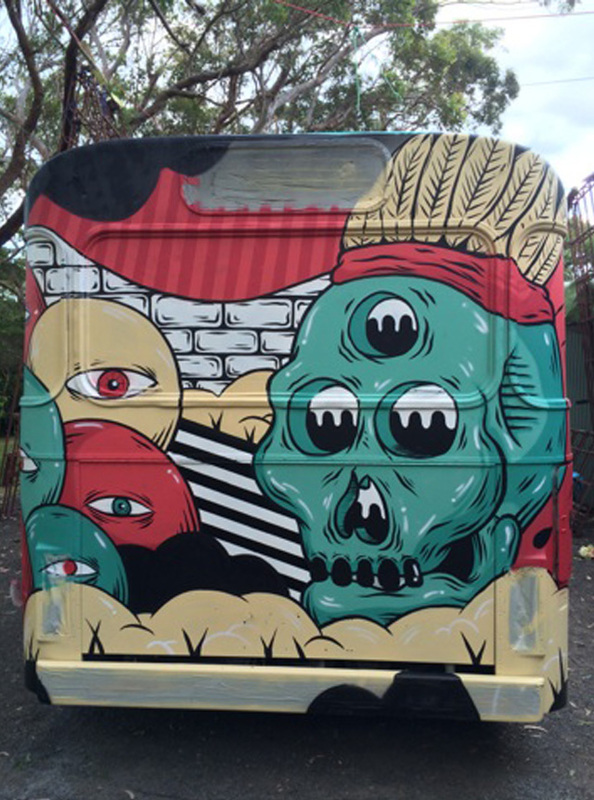 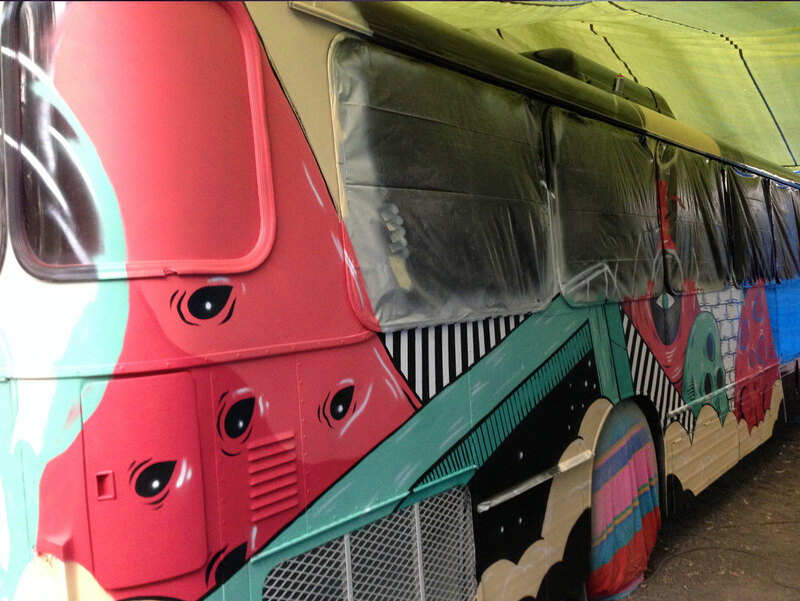 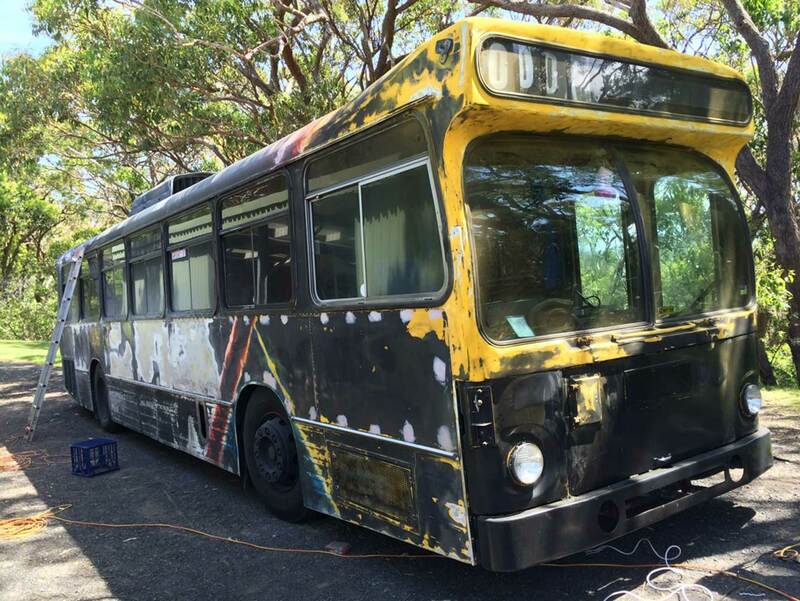 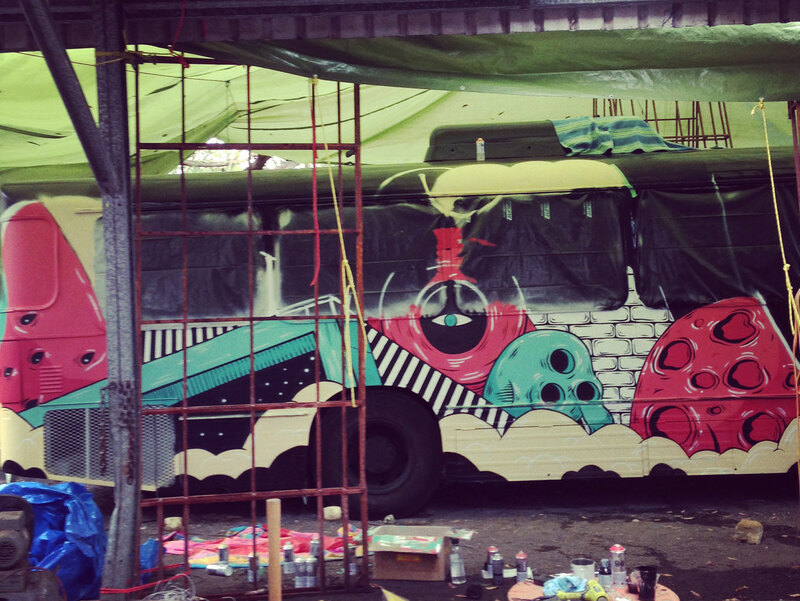 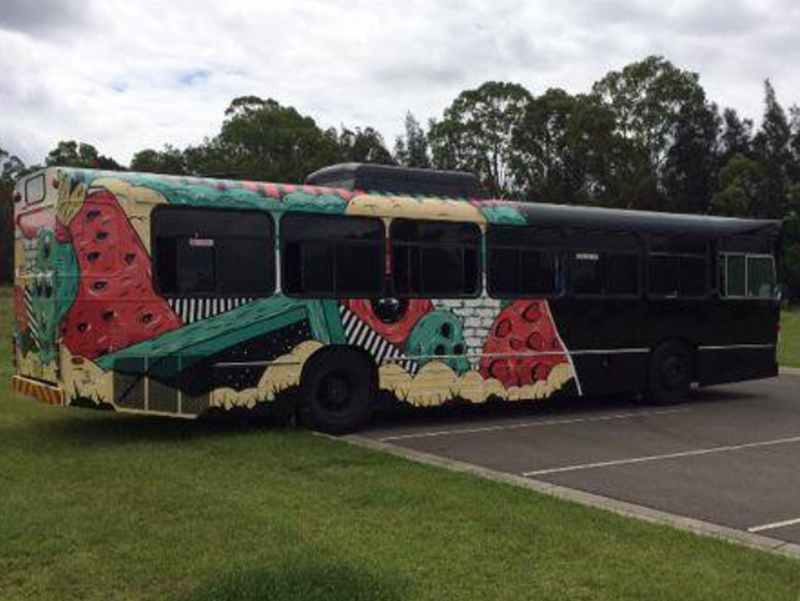 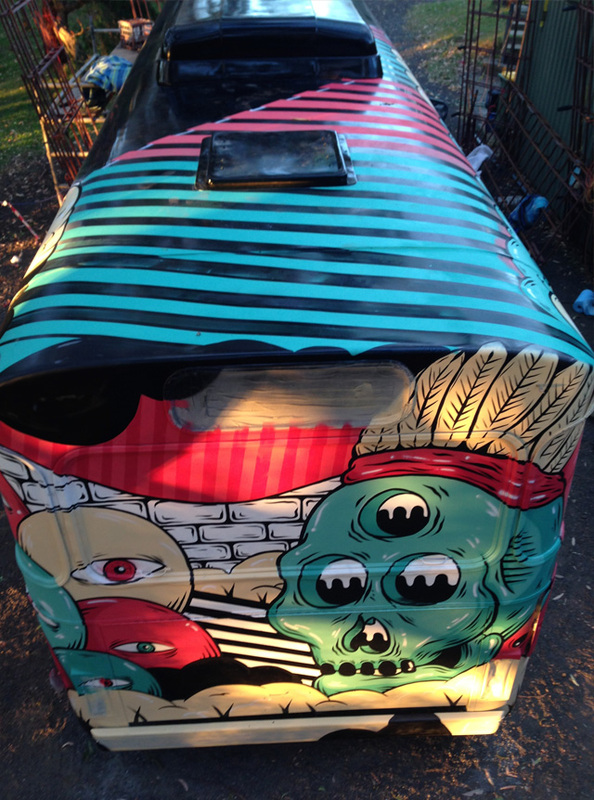 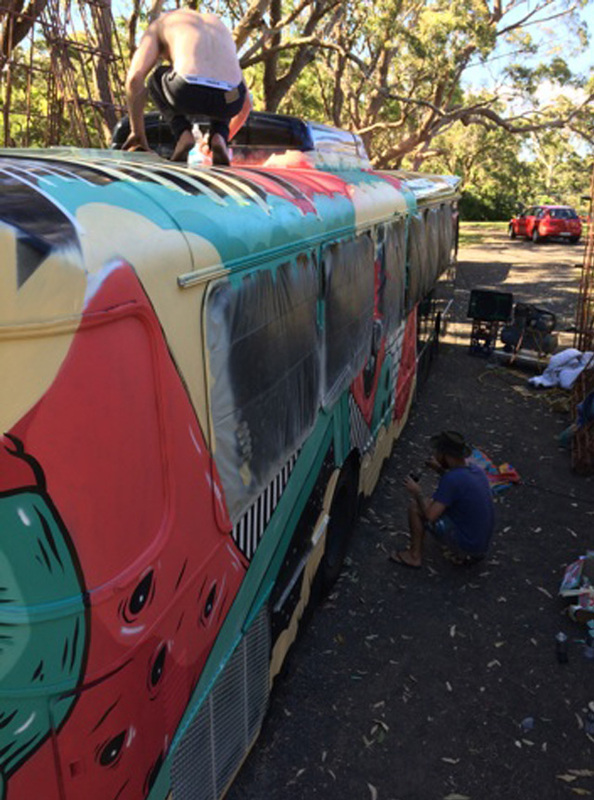 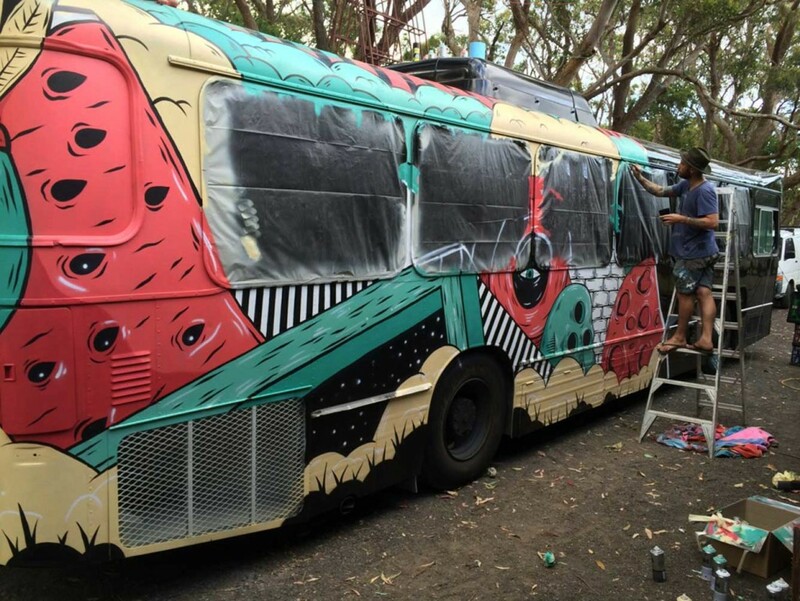 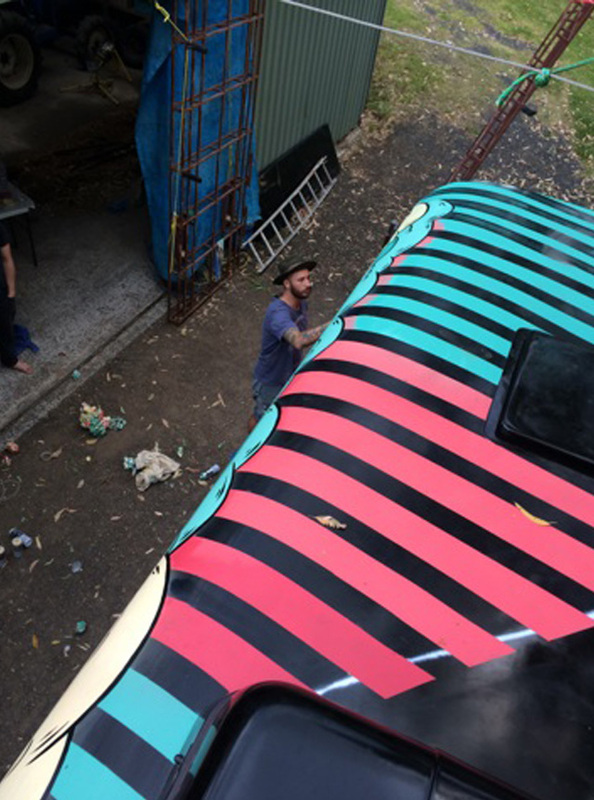 In November last year my good friend Jimmy asked me to paint his ‘party bus’ that he’d just recently bought. 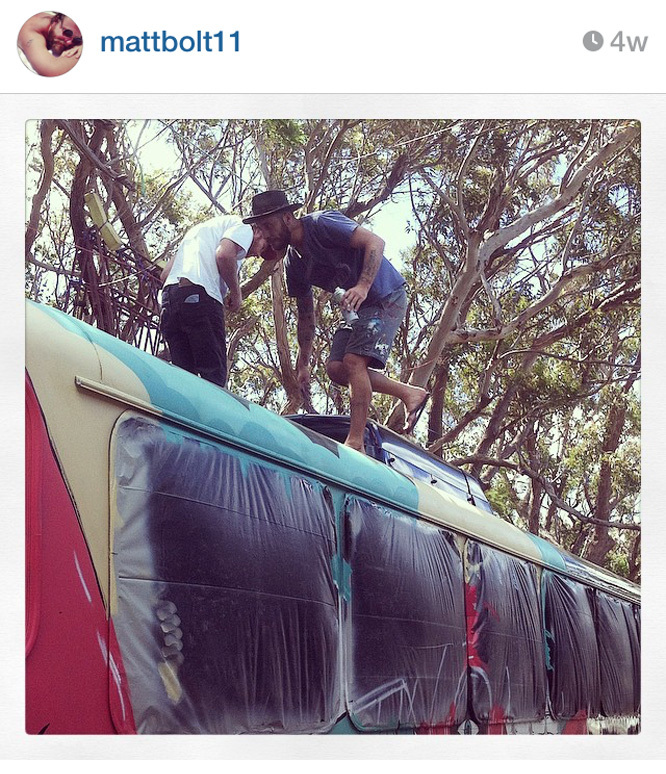 We had to battle the rain over the weekend and Jimmy had set up a Mad Max style tarp area that he pieced together from scrap metal and a super intricate rope system…… it eventually gave way under some serious wind and for a brief instant my life flashed before my eyes, but i managed to get it done. 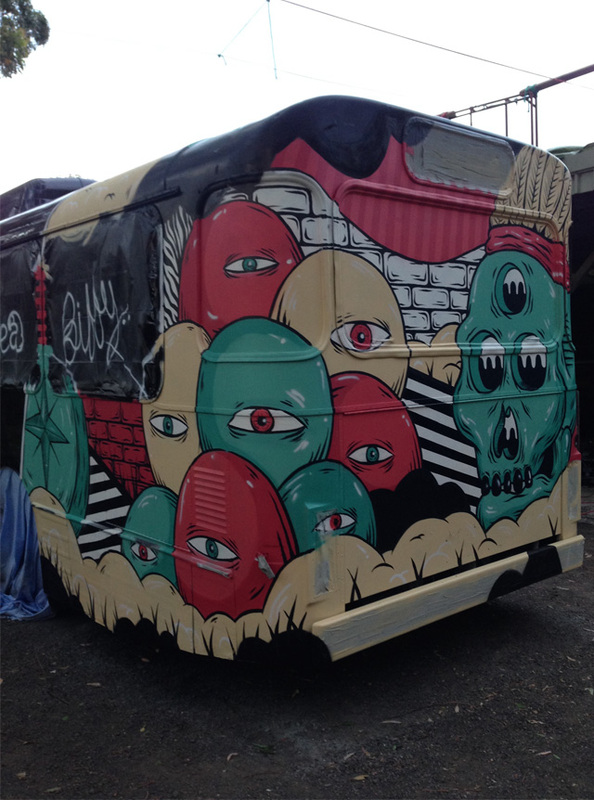 Stoked with the final outcome and keen to paint some more.